How should Minnesota courts approach our constitution? How will the court resolve differences, and even conflicts between the Minnesota and the U. S. constitutions? What might be the ramifications of the SCOTUS overturning major cases? Prof. Teresa Collett earned a J.D. degree from the Univ. of Oklahoma law school. She is a professor at the University of St. Thomas law school, where she teaches Constitutional Litigation and serves as director of the school’s Prolife Center. She represented Congressman Ron Paul before the U.S. Supreme Court in defense of the federal partial-birth abortion ban, and the governors of Minnesota and North Dakota defending state parental involvement prior to performance of an abortion on a minor before the U.S. Supreme Court. 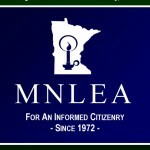 Come join members of LEA for an evening with supporters of constitutional government from across Minnesota as we gather to hear from LEA’s legislative honorees and present LEA award-plaques to those who earned honors in our 2018 report. The event is open to all dues-paying members, and dues are only $10 per year. Reserve your dinner and pay your 2019 dues of $10 (if you haven’t already done so) using the button below. Save the date! We look forward to seeing you at the banquet!